You will benefit from his practical suggestions, all illustrated by 167 images included in its 60 pages of content. And, you’ll enjoy the occasional tongue in cheek approach to ideas that come from so many years of experience. The author even includes examples of his work that have composition defects and he points them out to reinforce the principles! This book is NOT a coffee table book although it’s loaded with memorable images. And, this book is NOT an “overview” or an “introduction”; it’s full of specific, meaty suggestions and examples. It won’t teach you how to operate your camera; there are plenty of other ways to learn that. It will, however, teach you to select and study subjects or scenes and to compose for lasting effect. You will learn how to build an image, image construction for landscapes, the drama that lighting can add, cropping for maximum effect, and all kinds of ideas about content to look for and how to photograph it. The author refers to all of this work as “pre-processing”, the things you need to do to have keepers on your flash cards. Note that because of the extensive use of images for instruction the display of the book’s pages will be effective on full-sized screen devices such as laptops, desktops and larger screen tablets. 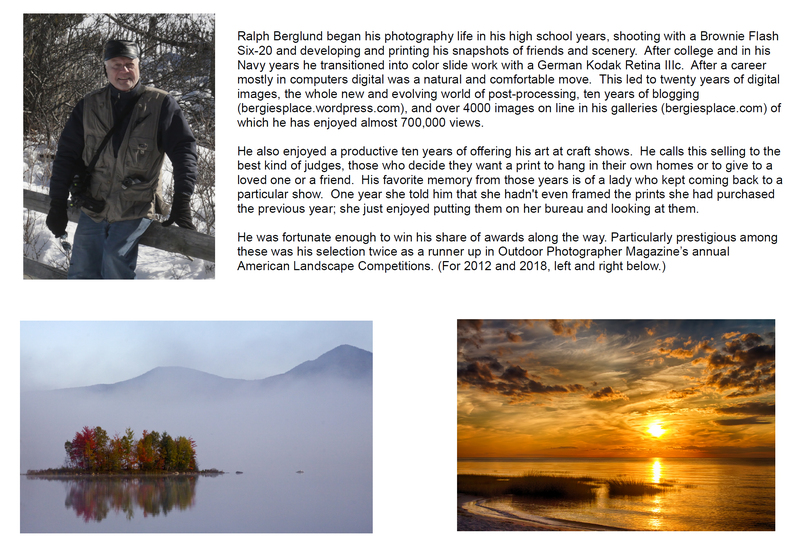 Right click and View Image of the above SELECTIVE FOCUS sample page. 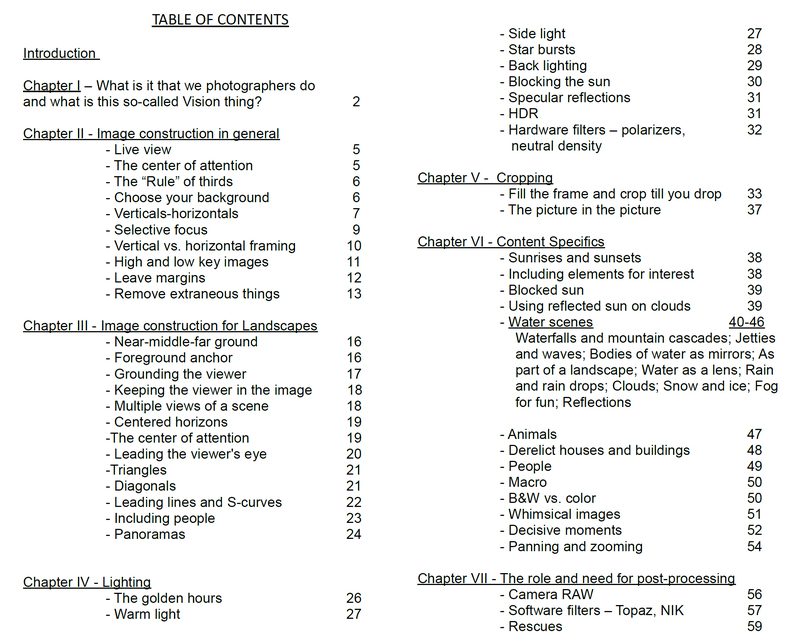 If that looks OK on your screen, enjoy the whole book. Sales are handled through our store on Selz.com. We accept major credit cards and PayPal. Upon receipt of your order you will receive an acknowledgement with a button to push for download. Good shooting after that.